If you live in Florida and want to learn to paint yourself, now you can take a one-on-one painting workshop with me! Held once or twice a month throughout the year, all 3-day workshops begin with a discussion of the basics of paints, brushes and the boards that we will be painting on, as well as the techniques that you will learn. 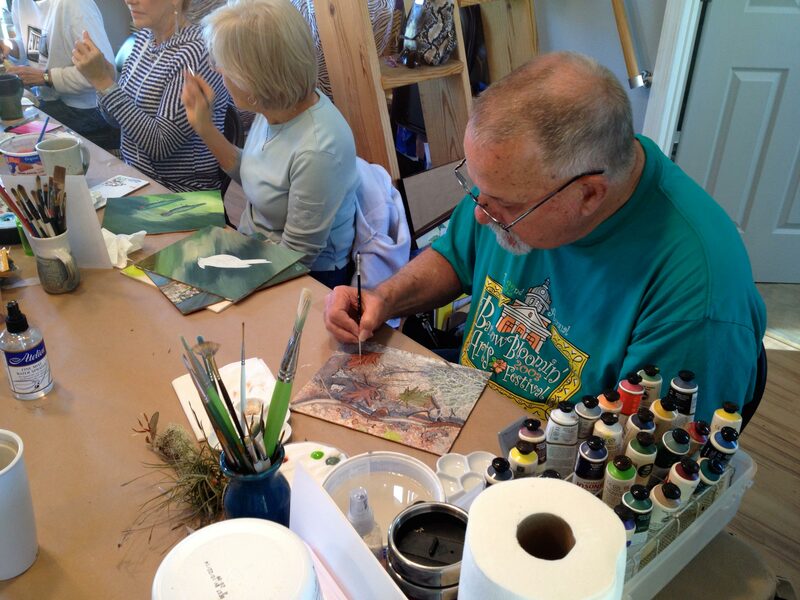 We’ll also discuss the thought process and your own approach to painting. For repeat students, we’ll spend a little time recapping, refreshing and reinforcing the skills learned in a prior class. If you enter the class with a good grasp of the techniques we are working on, then you can move on at your pace. And, we’ll always find time for technical discussions, as well as general art and or reference-related questions. If you have a question, I will try my best to get you an answer. Each and every workshop is designed to be “beginner friendly,” so don’t be shy. I can either supply you with the brushes, paints and other materials you’ll need on the first day of the workshop for a nominal cost, or you may purchase them from the downloadable PDF list below. I have included online links for each item for your convenience, but of course you may purchase your materials anywhere you like. The workshop classes allow me to help people individually in a group environment. The classes are intentionally small, because I have learned that I can do a better job helping fellow artists learn or get over an “artistic hump” that way. 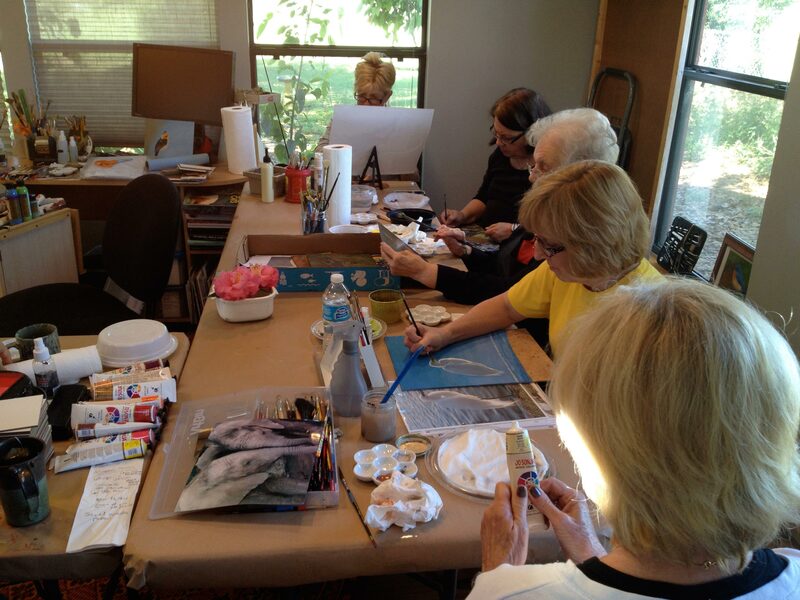 The class size also allows for beginners to receive attention and flourish among a group of artists who may be at different developmental levels and talents. The atmosphere is open, light, supportive, encouraging and you’re guaranteed to have a blast! The first day, you will first work on basic skills and that may be a bit challenging to some. But you’ll soon understand why. You’ll learn how to prepare your palette, which brushes to use and how to hold and use them. You’ll learn the best ways to execute the stroke with various brushes, how to load your brush and how to mix your paints. All of this while applying paint to a board and talking about art! "Stephen is fantastic. I learned more during his workshop within hours than I have painting for years on my own. He is an incredibly skilled and patient teacher." "Stephen is a born instructor. We could ask him absolutely anything and not feel embarrassed." "This was my third workshop with Stephen. And I signed up for two more. I love his willingness to share his knowledge." Three Full Days To Stretch Your Creative Wings! Once you have the basic techniques down, we’ll move into rounding objects (whether it’s fur or feathers.) Then, you’ll practice painting a critter of my choosing (with your input.) I want you working on something within your reach. These workshops are about success…not frustration to the point of giving up. When my students work on things that they are ready for, they experience success, which naturally leads to them growing as an artist. The balance of the class will be honing these important skills and discussing art concepts and the business of art. Bring your questions, because there are no secrets here! Returning students that demonstrate a good grasp of technique can choose their own subjects. From there, they learn the secrets of painting realistic feathers, fur, wet and dry skin, landscapes, ground shots, and lots more. In the end, I truly love teaching these workshops and I look forward to seeing you there!